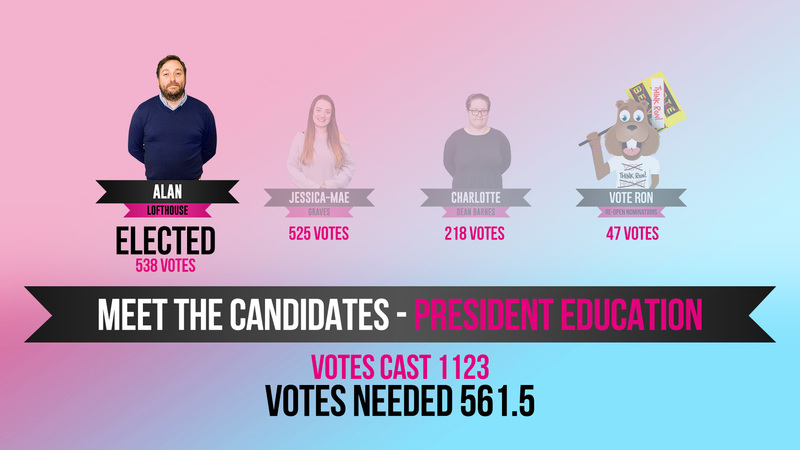 Alan Lofthouse (President Education Elect) and George Reeves (President Activities Elect) will join Sophie Bennett (President Welfare Re-Elect) as the Student Officer team from July 2019. Meanwhile...Sophie Bennett, Alan Lofthouse, Jessica-Mae Graves and Charlotte Dean Barnes will represent Teesside University at the National Union of Students National Conference 2019 next month. 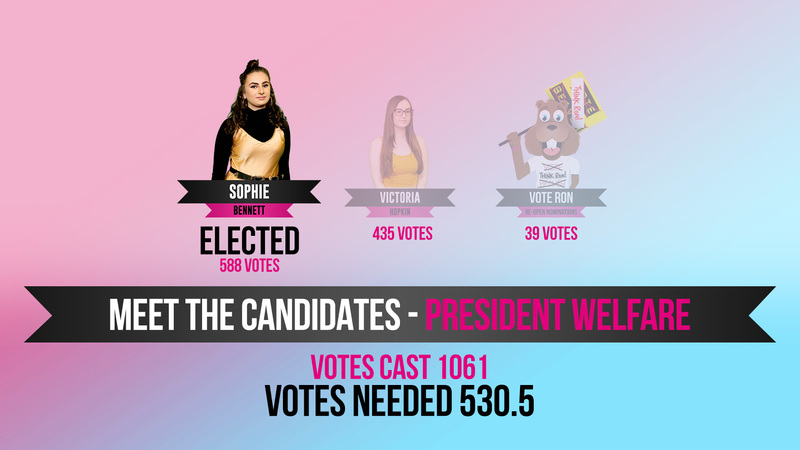 We'd also like to say a big well done to all of the runners up in the three Student Officer elections...the closeness of some of the results is testament to the tremendous effort everyone made. 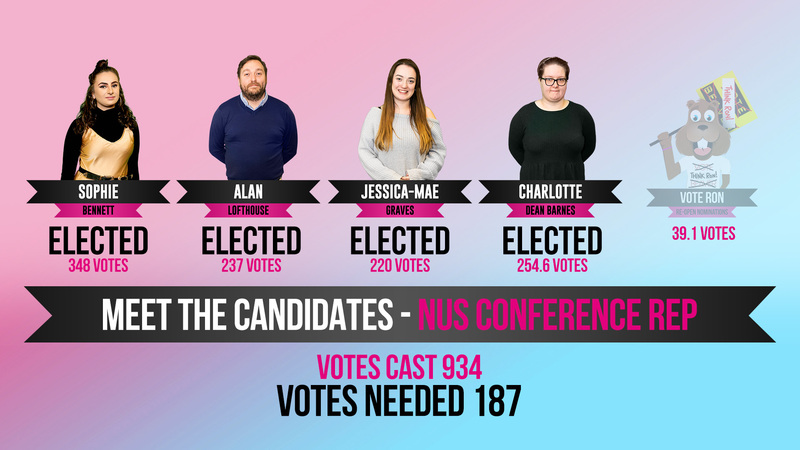 Scroll down to see a summary of the results of all four elections and we'll add more information about the Student Officers Elect and NUS Conference Reps here soon. 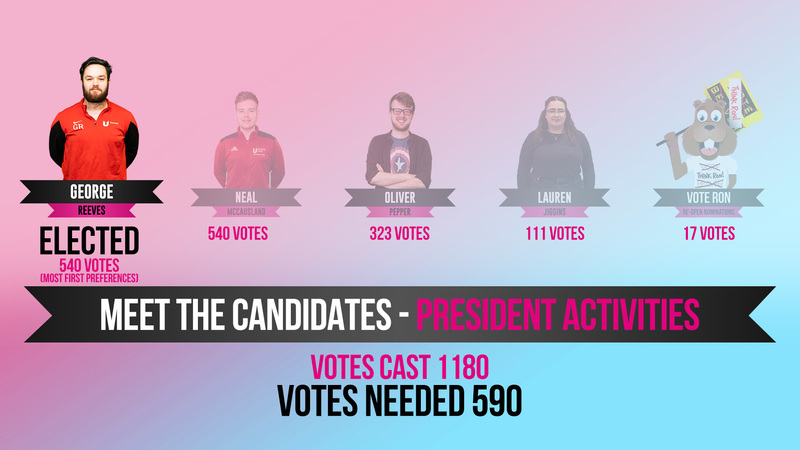 If you wish to see a full breakdown of voting in the elections including round by round transfers click here and please send any queries about the results through to elections@tees-su.org.uk. Click here and here to read the rules by which the elections are run.